Harlequin Creator Fund Opens for Submissions! Harlequin has launched the Creator Fund as part of the Harlequin Feel Good Project. The Creator Fund continues Harlequin’s 70-year tradition of promoting female storytellers by offering funding to women creating feel-good content. 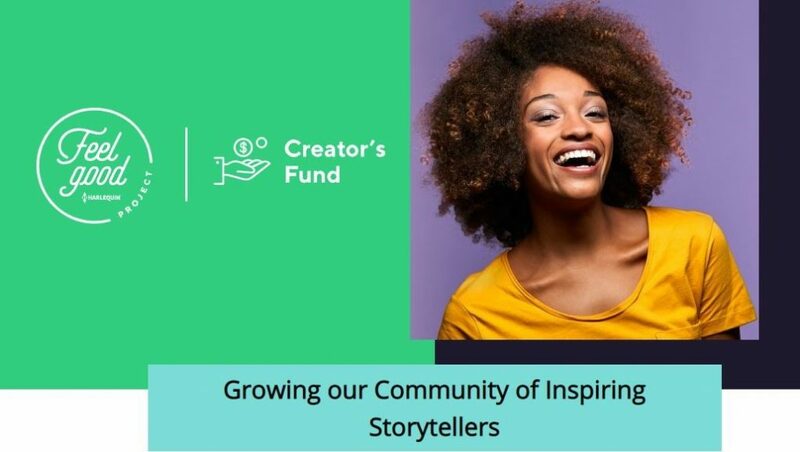 The Creator Fund is designed to attract and support up-and-coming and established female writers (in the US and Canada) of fiction, TV or movie scripts, who tell feel-good stories with a unique point of view. We are looking for submissions that will leave audiences feeling uplifted in a wide range of genres—comedy, drama, suspense, adventure, historical and more. Submissions will be accepted from January 23, 2019 to March 23, 2019. More details on funding, eligibility and submission criteria are available here and you can submit your fiction, TV or movie script to the Creator Fund here. Good luck to all entrants! The Harlequin Creator Fund opens for submissions! This is the last day to submit your proposal to the Harlequin Creator Fund!